On Monday July 2, a patient walked into one of our Kentucky dentist's office ready for dental work to prepare for a heart procedure. Imagine his disbelief when he found out that as of July 1, all his dental benefits had been discontinued overnight. In this person's case, he could not continue with his heart surgery until his oral problems had been resolved. This is a great example of the importance oral matters can have on other health issues. The recent decision by the state of Kentucky to discontinue dental and vision benefits has intensified the discussion of how important good dental health is to our overall health. While we are deeply discouraged by the removal of the benefits and the lack of notice, we are happy to start the conversation on how dental health in our Medicaid population could benefit our entire state. In recent years, the significance of dental health on our overall health has become better known, even as many state governments and even Medicare chose to exclude dental benefits. Oral health means more than just an attractive smile. Poor oral health and untreated oral diseases and conditions can have a significant impact on quality of life. In many cases, the condition of the mouth mirrors the condition of the body. Research indicates a relationship between periodontal disease and stroke, heart disease, diabetes and preterm low birth weight babies. In the State of Kentucky, we have an epidemic of diabetes. Diabetes and dental gum health are directly related. If your blood glucose levels are poorly controlled, you are more likely to develop severe gum disease. Likewise, serious gum disease may be a factor in making blood sugar rise and make diabetes harder to control. Over 90% of systemic conditions include an oral manifestation. Many times, a dentist may be the first to notice a systemic disease through something noted in the mouth. A healthy population creates a better working population and saves money for the patient, the insurance company and in this case, the state of Kentucky. According to the Surgeon General's report on oral health in America, released in 2000, a large percentage of the population suffers from a reduced quality of life due to oral and facial pain. When people are in pain, they cannot work. This can be not only a pain issue but a monetary problem due to loss of wages. Many times, in states without dental benefits this results in skyrocketing admissions to the Emergency Room. In our ERs, the cause of dental pain is not treated. The pain and infection symptoms are addressed with prescriptions for antibiotics and opioids and the patient is sent out the door to see a dentist. Without a state benefit plan, many times these patients do not ever see a dentist and the cycle continues. Dental coverage for adults is an elective benefit under Medicaid. In an example taken from Health Affairs 2015 abstract: Due to budget constraints, California Medicaid eliminated its comprehensive adult dental coverage in July 2009. They examined the impact of this policy change on emergency room visits by Medicaid-enrolled adults for dental problems in the period 2006-11. They found that the policy change led to a significant and immediate increase in dental Emergency Room use; amounting to more than 1,800 additional dental ER visits per year. Average yearly costs associated with dental ER visits increased by 68 percent. ER visits cost approximately 3 times more than an emergency visit to a dentist, averaging $749 if the patient isn't hospitalized - and costs the U.S. health care system $1.6 billion a year. 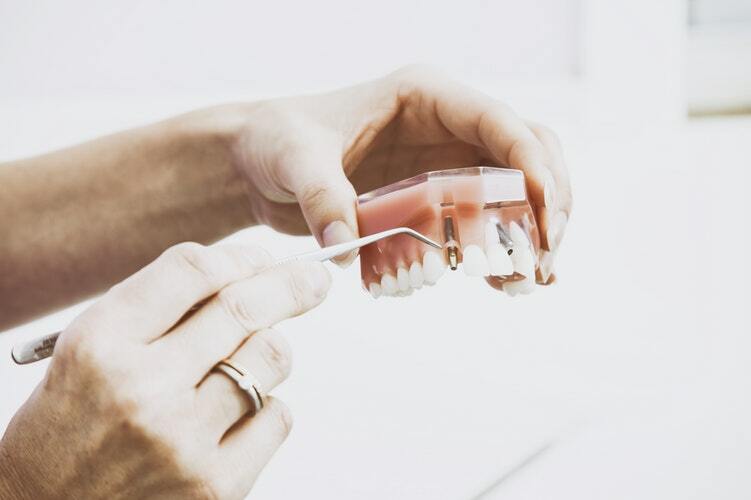 The California experience provides evidence that eliminating Medicaid adult dental benefits shifts dental care to costly ERs that do not provide definitive dental care. This evidence is critical to informed decisions regarding adult dental coverage for existing Medicaid enrollees and expansion populations. As dentists, our concern is first and foremost for our patients. The Kentucky Dental Association has significant concerns regarding the 1115 Waiver and the "My Rewards" program. It appears to be difficult for the patient to understand, difficult for them to "earn" their preventive or emergency treatment and cumbersome for the dentists and their staff to implement. If we are truly concerned about helping the expansion population move up and off Medicaid, we should support a program that helps them achieve good oral health and keep dental problems out of the ER. The waiver is not set up to achieve that. Perhaps we should take a step back and think about better options than the 1115 Waiver for the expansion population. An example of one option would be to model the waiver more like private dental insurance. If we desire patients to have a stake in their health, perhaps a good preventative dental plan with copays for other procedures would help. In modeling something similar to an insurance plan that patients and dentists are familiar with, could we increase our access to care? This would create a win-win for everyone, the patient, the dentist and the Commonwealth of Kentucky. While we think there are better options than the My Rewards program, we would love to see a return of dental benefits for the expansion Medicaid population to ensure dental health. The Kentucky Dental Association asks that as we determine where we go next with the state waiver that we consider the health of our patients first and foremost. When we focus on that, how can we lose?